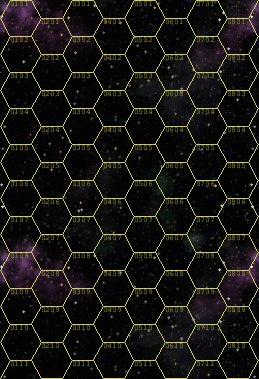 The Blank Subsector Map was created using QuickHex at the Zhodani base. With QuickHex you can make your own Hex Maps with any hex-size you like. You can even select the map to be transparent, so that you can overlay it on any map or background you like.